Gov. Eric Holcomb delivers his annual State of the State address on Tuesday, Jan. 15, 2019, in Indianapolis. INDIANAPOLIS (AP) — Indiana Gov. Eric Holcomb is looking to dip slightly into the state's reserves for more money toward a goal of boosting teacher pay. Holcomb used his State of the State speech Tuesday evening to announce plans to seek $140 million in the new two-year state budget to pay off teacher pension obligations owed by school districts. The Republican governor said 100 percent of that money should go toward teacher pay raises. "Just like paying off your mortgage frees up money in your personal budget, this state investment will save all local schools $140 million over the biennium with continued savings thereafter," Holcomb said. The extra money would amount to about 1 percent more funding to Indiana school districts, which are receiving an estimated $7.16 billion in state funding this school year. 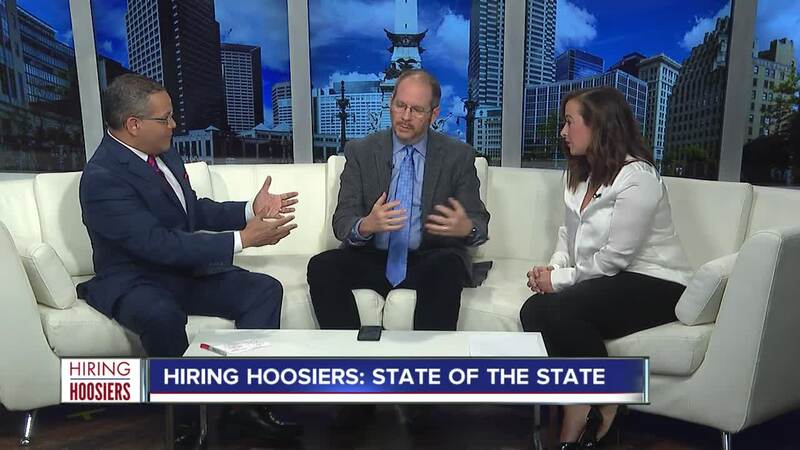 Holcomb and GOP legislative leaders have talked about the importance of finding ways to address Indiana's lagging teacher salaries, but the governor last week proposed just a 2 percent funding increase for public schools each of the next two years. Democrats have suggested tapping into the state's $1.8 billion reserves to give additional funding to schools. Holcomb wants to protect that reserve, saying it preserves Indiana's top credit rating and is insurance against a recession. But Holcomb said Tuesday that the state can use "surplus" money to pay the teacher pension debt and still maintain the reserve figure. It isn't clear how much the $140 million could boost pay for the state's roughly 60,000 public schools teachers. The extra money amounts to about $1,200 per teacher each year of the two-year state budget, but local school boards would still decide how to spend their state funding. Top Democratic lawmakers said Holcomb was going in the right direction on trying to boost teacher pay, but still had more work to do. "He's found a way to say to this General Assembly, 'We can find, if we look hard enough, we can find money to do this teacher increase in this budget cycle," said Senate Democratic leader Tim Lanane of Anderson. Holcomb also renewed his support for a state hate crimes law , telling the Republican-dominated Legislature that Indiana needs to end its status as one of just five states without laws specifically targeting crimes fueled by biases regarding race, religion and sexual orientation. Repeated efforts for an Indiana law have failed amid fierce opposition from conservatives who maintain it would unfairly create specially-protected classes of victims and wrongly restrict free speech. Holcomb said the new law should follow the state's employee anti-harassment policy, which has a list that includes sexual orientation and gender identity. "Businesses interested in Indiana care about this issue, but it's not just about business," Holcomb said. "At heart, this has to do with people's dignity and how we treat one another." Democratic Rep. Greg Porter of Indianapolis, who has sponsored hate crimes bills since the 1990s, said before Holcomb's speech that he believed the governor needed to make a strong push for it to win passage in the Legislature. "He has to be passionate about it," Porter said. "It cannot be just a gloss over." Republican Rep. Curt Nisly of Goshen, an opponent of adopting a new hate crimes law, was unmoved by Holcomb's argument, maintaining that current state law already gives judges the authority to consider crime motivations in sentencing, even though protected classes aren't specified. "This gives equal protection for all, the way that we already have it," Nisly said. "Other states should be copying us, instead of us trying to copy other states." Many GOP legislators didn't join a standing ovation when Holcomb called for a hate crimes law. 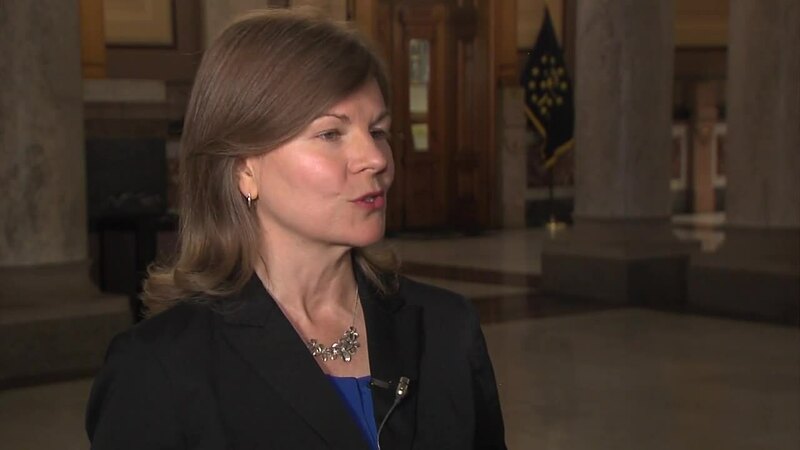 Lanane, the top Senate Democrat, said Holcomb still must overcome opposition among conservative Republican lawmakers as "the other side of the aisle wants to remain out of touch with where Indiana should be." "The governor emphasized quality of life, well, that is a way to improve the quality of life in our state is to get us off that list with a meaningful hate crimes bill," Lanane said.